If you are looking to update Oreo for Galaxy A5 2017 Android phone, then here I have list of Oreo ROMs and a step-by-step guide on how to install Oreo on Galaxy A5 2017. The Galaxy A5 2017 (model: SM-A520F and variants, codename: a5y17lte) was last updated to Android Nougat officially. Almost all Android phone manufacturers provide 2 years of official update and Galaxy A5 2017 is no exception. It’s the custom ROM builds that keep the devices alive by providing latest Android updates there after. This is the primary reason I have brought you here, how to update Galaxy A5 2017 to Android Oreo 8.1 custom ROM. – Here is the How to install TWRP on Galaxy A5 2017 (a5y17lte). Download the TWRP recovery for Galaxy A5 2017 from the Samsung TWRP recovery list. Install TWRP Recovery on Galaxy A5 2017 using ODIN Windows application. 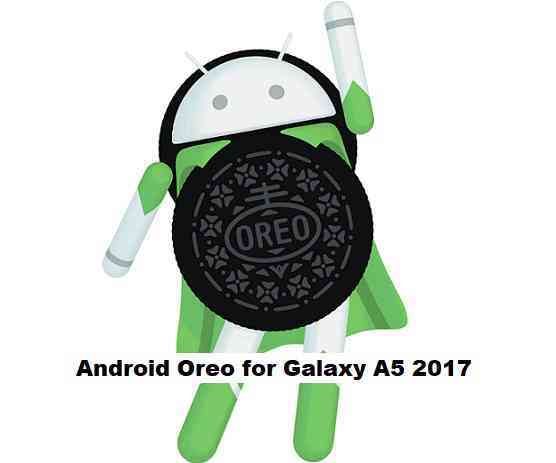 Then, download one of the Android Oreo ROMs available for Galaxy A5 2017 and copy the Oreo ROM file to your phone using TWRP MTP mode or sideload. Reboot your phone and enjoy Android Oreo on Galaxy A5 2017. If you are facing any issue while following this guide, then you can comment here or you can create a topic on the Galaxy A5 2017 Forum or on the respective Oreo Custom ROM topics. It’s the custom ROM builds that keep the devices alive by providing latest Android updates there after. This is the primary reason I have brought you here.